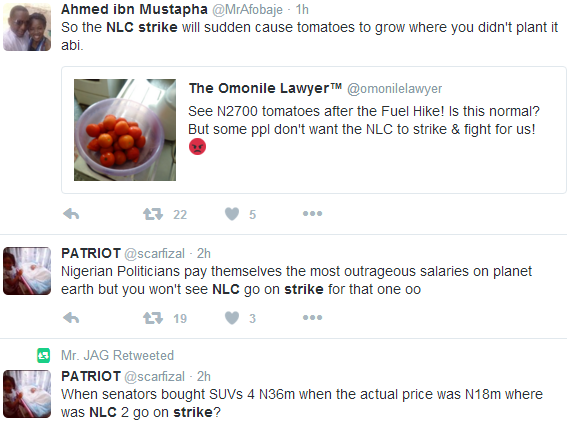 Mixed reactions have trailed the planned strike action by the Nigeria Labor Congress NLC over the increase in the pump price of petrol from N86.50 to N145 per liter. 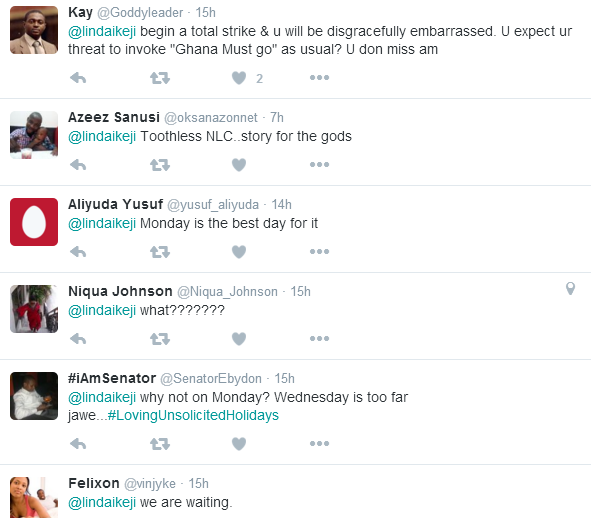 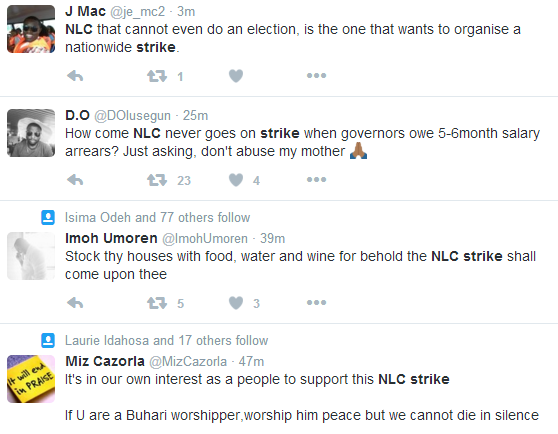 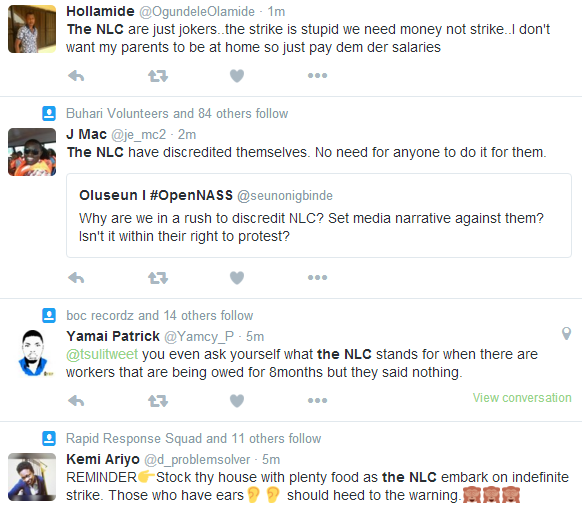 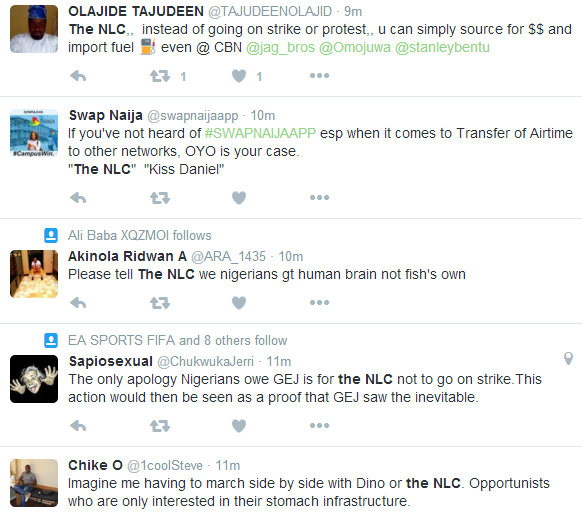 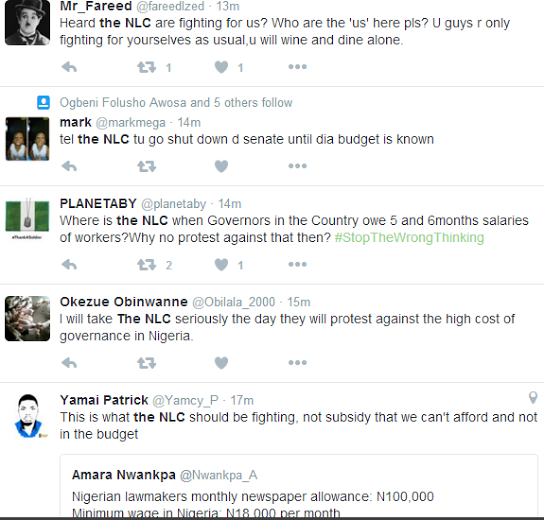 From the reactions on twitter, it appears many Nigerians have lost faith in NLC as most of them are saying they will not be participating in the proposed strike scheduled to take place on Wednesday May 18th if the Federal government doesn’t revert to the old pump price of N86.50. 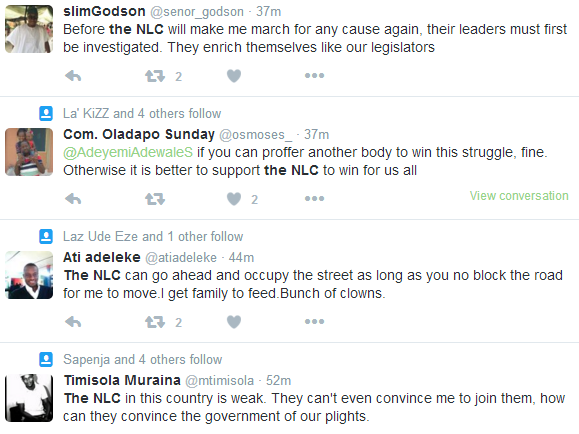 See more of their tweets after the cut.